The Dakota 410 is specially designed to be body mounted on the John Deere Pro-Gator and Toro Workman. It will handle both wet & dry materials, allowing light to heavy dressing and can easily be loaded with a 1.8m wide tractor bucket. It features accurate and easy to operate calibration, with no manual adjustment*. The 410 is easy to fit, and allows for easy servicing due to it’s hydraulic lift function. 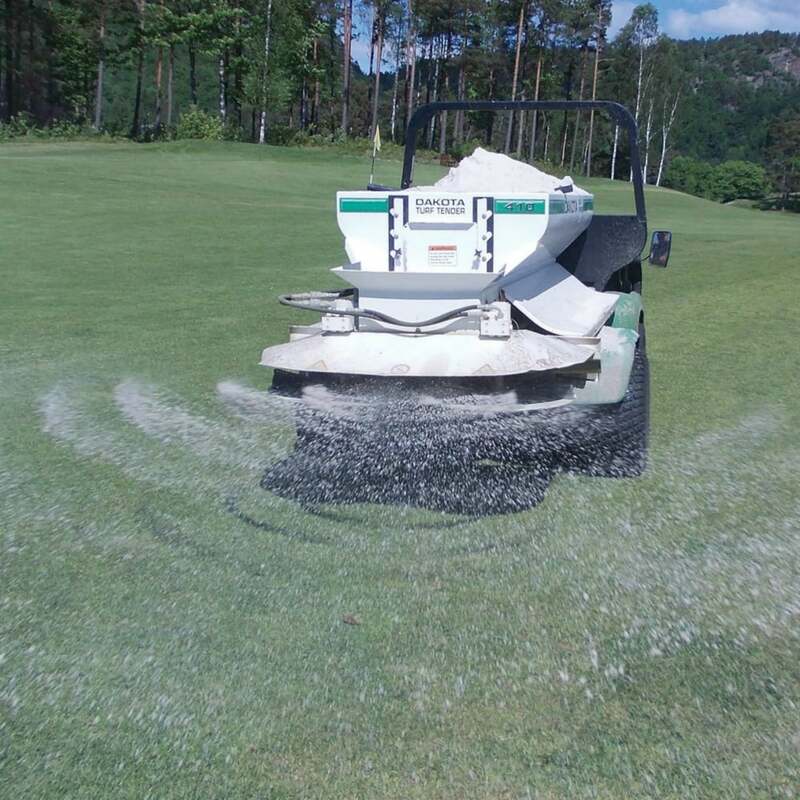 It can be used to fill bunkers or drainage runs with optional accessories. Wide spread pattern via dual spinner discharge system.